And what better way to celebrate than with a freebie! For the next 6 months we will be launching a new desktop calendar as per usual but this time they have cute Love Mae characters! 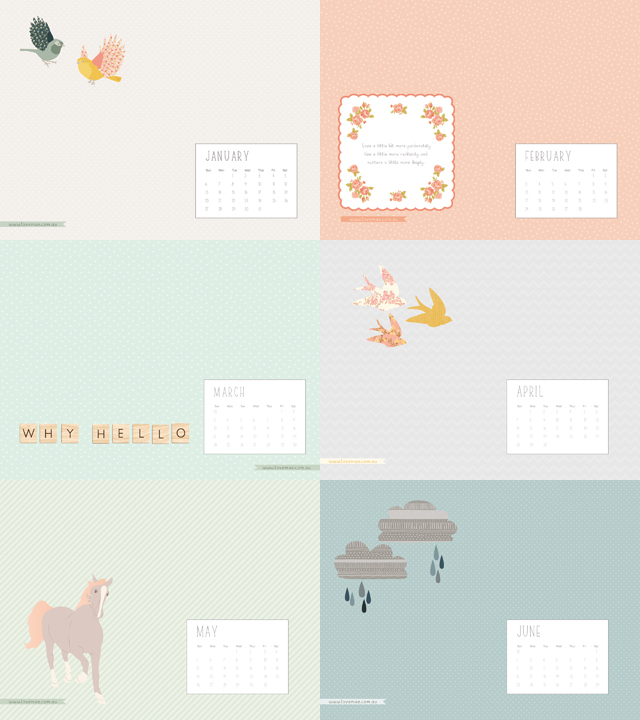 Stay tuned for the 1st of every month for the latest freebie. Here is January's free desktop calendar. 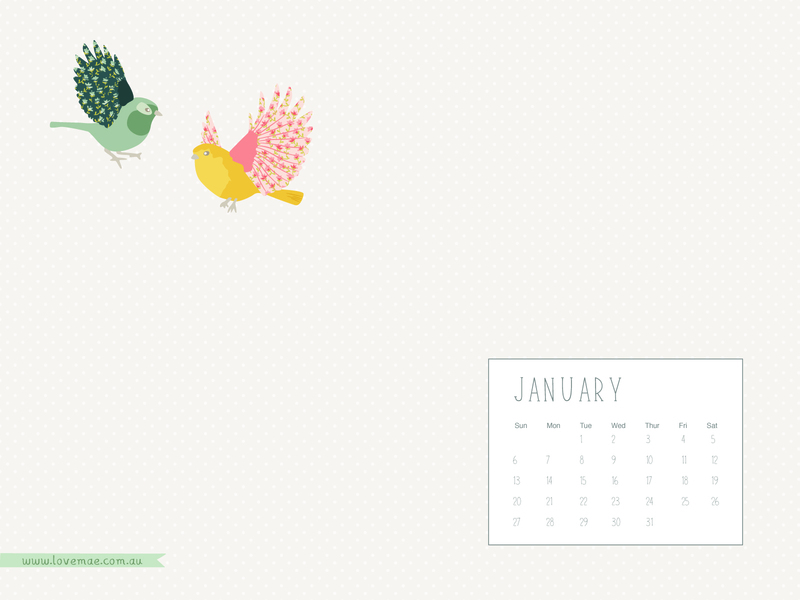 You can find these cute birds in our Flying Twitters (girly) wall stickers. I love it! Thank you thank you thank you! I can't wait for February's.